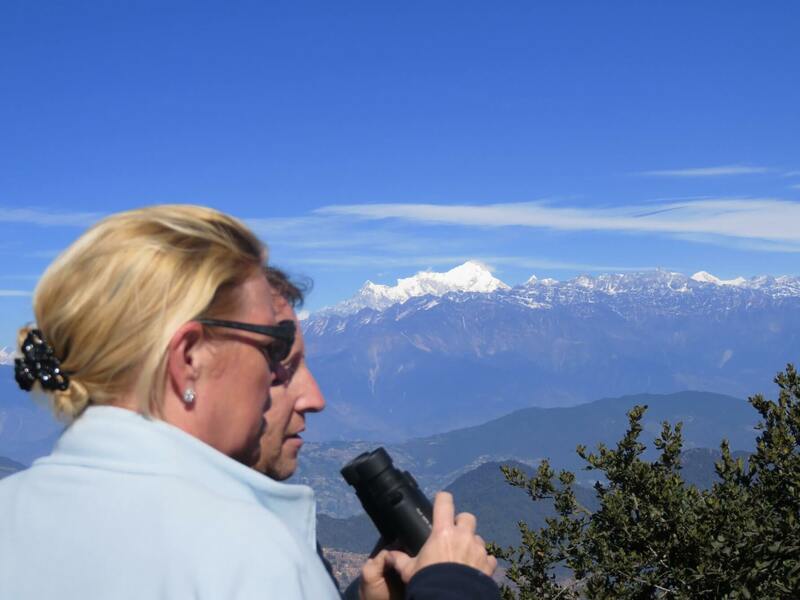 Experience the magnificent views of the naturally beautiful Nepal- the panoramic views of the mountain ranges, wild birds and animals hidden in the enchanting woods, lush vegetation and flora meadows and unique ethnic settlements of the Tamang in a 3-day trek to the serene areas of Chisapani and Nagarkot. The Hiking starting point of this route is Sundarijal is situated ten kilometers northeast of Kathmandu; Sundarijalis famous for its scenic beauty. There are magnificent waterfalls, cataracts, and rock formations, making it an ideal place for a picnic as well. One has to walk a short distance after the motorable road ends. We don't need any experience of trekking to do this short hike - trek, where we can able to have to get views of mountains, hills and we will explore villages. Chisapani is a popular Mountain View spot about 5 hours walk from Sundarijal. This cool and beautiful place offers a close view of eastern Himalaya ranges. Nagarkot is another viewpoint in this route. Nagarkot is situated east of the Kathmandu Valley at an elevation of about 1800 meters (5,904ft). This spot is popular for mountain views, particularly at sunrise and sunset. Among the 25 mountains above 6000 meters (19,680ft), Annapurna (8091m/ 26,545ft), Manasalu (8165m/ 26,781ft), Ganesh Himal (7446m/ 24,422ft) and Lantang lirung (7245m/ 23,763ft) can be seen. This is also a one day trip from Kathmandu. Changunarayan, which we cover on this hike, is the oldest temple in the Kathmandu valley built in the 5th century and a UNESCO declared world heritage site. Day 01 Early in the morning around 8:00 am, drive to sundarijal by car/bus/van and hike up to Chisopani(2200m) 5hrs crossing Shivapuri National Park. Day 02: Wake up early in the morning to see the sunrise from Chisopani, from here we can see the panoramic view of twenty snow covered mountains. After breakfast, we will hike to Nagarkot for six hours through the straight trail. Day 03: Early in the morning see the sunrise view and panoramic views of various mountains including Mount Everest. After breakfast trek down to Changunarayan and visit old Hindu temple Changunarayan and drive back to Kathmandu. Transfer from your hotel to hike start point and transfer back to your hotel from the hike endpoint. Services of the hiking guide. One night accommodation at a mountain lodge on bed and breakfast bais, twin sharing room. National park entry fees, TIMS. Hotels and tours in Kathmandu.